Ready for «the most powerful storytelling ever»? Welcome to a kick-off seminar on virtual reality, augmented reality and 360 video. The first wave of immersive journalism is here, with journalists and researchers testing out new tools for extended visual news coverage. In this seminar, journalism scholars from the UK, the US, Finland and Norway will give short talks on their emerging studies in this expanding field. 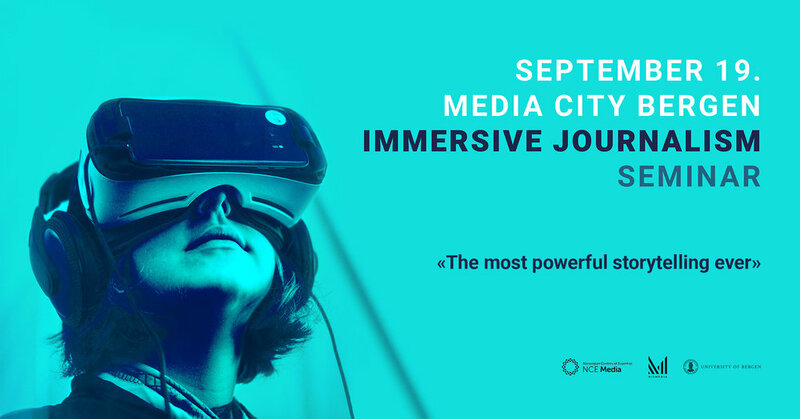 The main purpose of the seminar is to start critical discussions about the benefits and challenges as well as potential pitfalls of using immersive technologies in journalism. The seminar springs out of the ViSmedia project at the Department of Information Science and Media Studies, UiB. Presentations by: Esa Sirkkunen, Sarah Jones, Astrid Gynnild, Turo Uskali, Siri Flatlandsmo, Lars Nyre and Deborah G. Johnson.